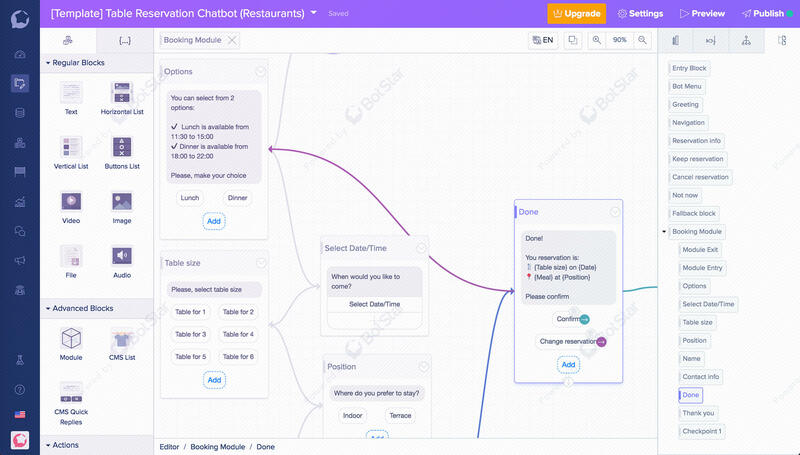 Creating catering orders and making table reservation with restaurant chatbot. 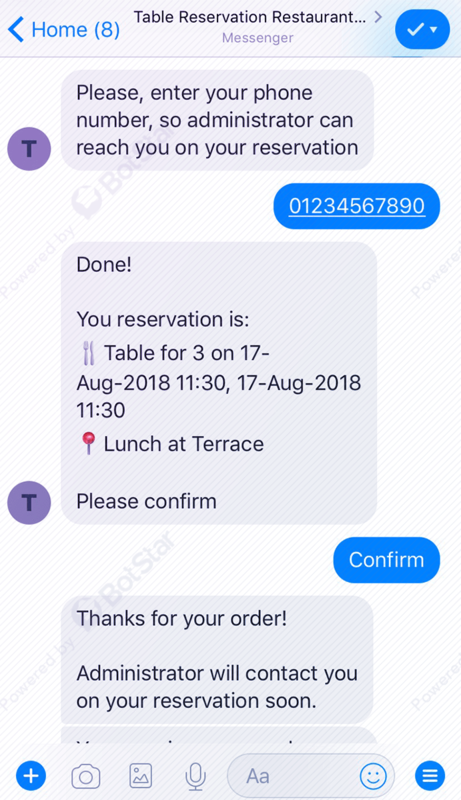 Using BotStar’s Table reservation chatbot, restaurants can do the same. They can support a large amount of customers at once. Table reservation, cancelation or even re-booking can be done 24/7 by customer themselves. With the rise of different messenger platforms such as Facebook Messenger, WhatsApp, Slack, etc., more and more people become familiar with communicating in short text messages with family, friends, colleagues. This trend is spilling over in business conversations as well. Actually, most of the small businesses are happy with this shift because they can connect with more customers at a time and enhance their productivity.